Project Fi released a new version of their mobile app which includes a very nice new feature. Now users can manage (somewhat) voicemail greetings right from their device. 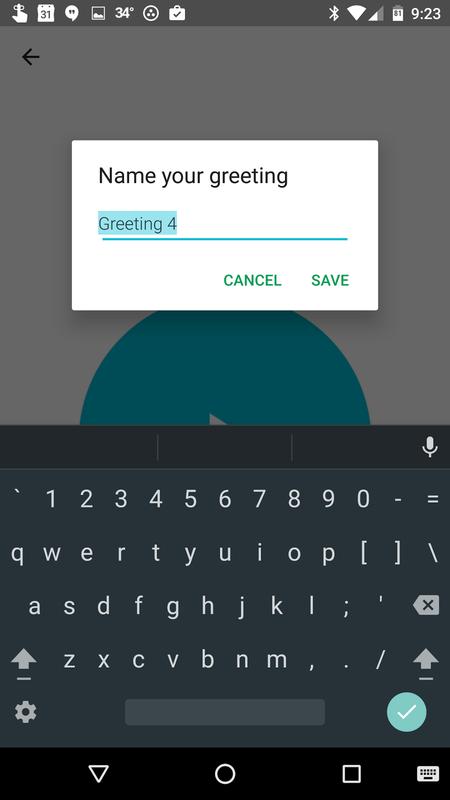 Users can record new greetings, delete greetings and even assign a greeting to be active. The one limiting piece is that you are not able to assign the greetings to groups or individuals, you can only make the greeting your default active greeting. The process is simple, just open the Project Fi app, under the Account section, tap on Voicemail. 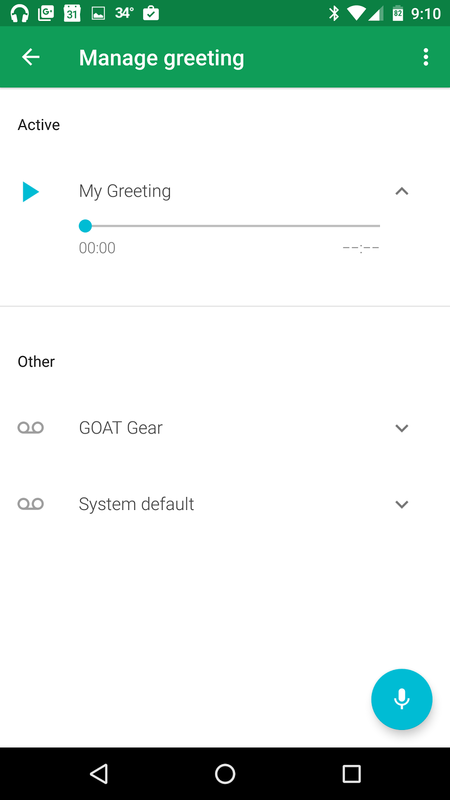 On the next screen, tap Manage Greeting, where you will see a list of all the greetings that you have previously recorded using the Google Voice page on the web. On the Manage Greeting screen you can listen to the greetings, delete or set as active. In addition, on the bottom right, there is a Fi Blue microphone floating action button (FAB). Tap that and you will be presented with a screen to record the greeting. You may be asked to give the app special permissions to access your microphone. 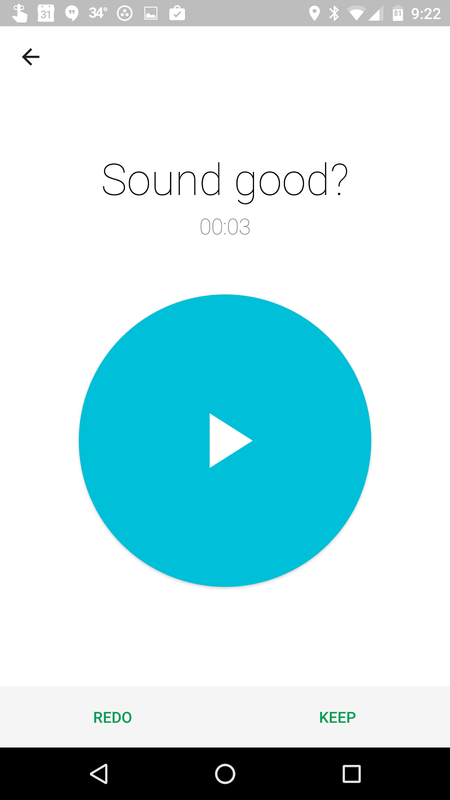 Tap the big Fi Blue record button and start speaking to your phone to record the greeting. After recording, you can listen, discard or keep the greeting. Next you will be prompted to name and save the greeting. After tapping save, the greeting just recorded will be uploaded and become the active greeting. You can then change which is active on the next screen. If you want to assign a greeting to a specific person or group, you will need to do that from a browser on the Google Voice page. You can learn more about that on my Custom Greetings post.